Opis: God's Fellow-Workers - Keenleyside C. B. From Canada, from an author whose works have already done much there to win men and women to obedience to the heavenly vision, comes this book. The writer is a layman, who is a graduate in Divinity as well as in Arts. Above all, he gives, unconsciously, evidence of personal self-consecration of the highest type. Every page shows a mastery of the Word of God, and, in particular, of the enriching doctrine of the Holy Spirit. These he applies to the whole Church, and especially to the men and women of the present time, young and of middle age, when enforcing the call to evangelise the world now, and thus to become "God's Fellow-Workers" in building the great Mission Temple. 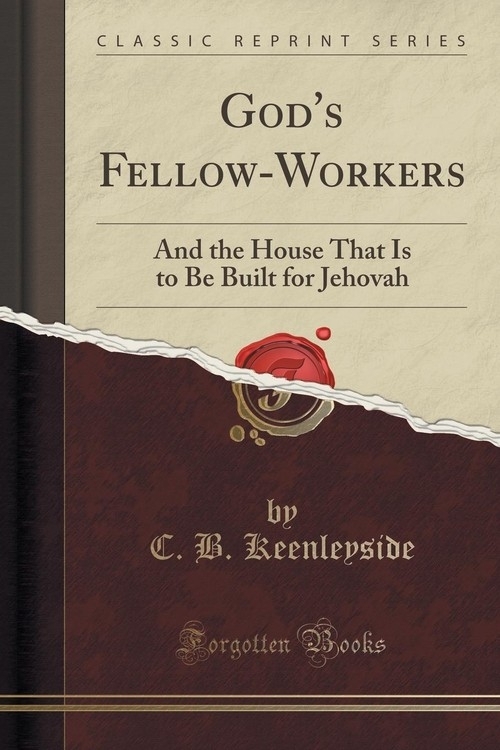 Szczegóły: God's Fellow-Workers - Keenleyside C. B.
Recenzje: God's Fellow-Workers - Keenleyside C. B.